How Many Questions Can I Miss on the MAT and Still Get a Perfect Score? The big question many test-takers ask is: “How many questions can I miss on the Miller Analogies Test and still get a perfect score?” Here’s the good news and the bad news all in one… you can’t get a perfect score on the MAT (bad news) so you can relax and do your best knowing that missing questions will not result in a failed test (good news). Remember, there are 120 questions on the exam but 20 of them are experimental questions that they are testing to use on future versions of the exam. There is no telling, however, which of the 120 are the experimental ones–they’re mixed in so you can treat every question as though it counts but it can also ease your mind that if there is a particularly stubborn question it might be an experimental one and won’t count. Your correct answers on the scored test are then calculated into a scaled score that ranges from 200-600 (you can find a good explanation of those scaled scores here). The way the scoring process works at Pearson ensures that the overwhelming majority (90%) of scores land between 200 and 400 with just 10% of test takers scoring above that. The thing is, with this type of scoring, there is a 0.0034% chance of getting a perfect score. While I do encourage, wholeheartedly, a strong effort and the desire to do your best, it’s fine to relax and not aim for perfection. 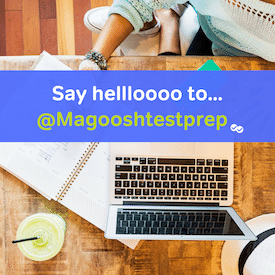 Instead of trying for a perfect score, concentrate on understanding the analogies and how to differentiate between the types to ensure your best performance on the exam. Stick to a good study schedule (here is a good guideline for a one month study schedule and this is a good one if you’re down to a one week crunch). Remember, also, that this particular exam is designed less to test your knowledge of specific facts and more to test how you think which will be a good reflection of how you will perform once you start your graduate program. Relax, do your best on the exam and don’t worry about how many questions you can miss and still get a perfect score. Retake the MAT – When is it worth it? I am a professional Book Geek, a.k.a. librarian, and love to both learn and educate. Serving students of all ages and all stages--I live for the “Ah Ha!” moment. I am a reference librarian at the Alamogordo Public Library and am ready to answer questions at a moment’s notice; never be afraid to ask! Remember: when all else fails, go to the library!